There has been much recent interest in Bayesian image analysis, including such topics as removal of blur and noise, detection of object boundaries, classification of textures, and reconstruction of two- or three-dimensional scenes from noisy lower-dimensional views. Perhaps the most straightforward task is that of image restoration, though it is often suggested that this is an area of relatively minor practical importance. The present paper argues the contrary, since many problems in the analysis of spatial data can be interpreted as problems of image restoration. Furthermore, the amounts of data involved allow routine use of computer intensive methods, such as the Gibbs sampler, that are not yet practicable for conventional images. Two examples are given, one in archeology, the other in epidemiology. These are preceded by a partial review of pixel-based Bayesian image analysis. 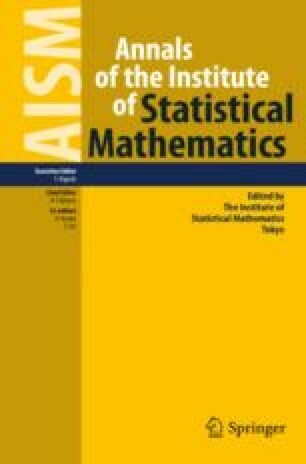 An earlier version of this article was presented at the symposium on the Analysis of Statistical Information held in the Institute of Statistical Mathematics, Tokyo during December 5–8, 1989. This research was carried out partly at the University of Durham, U.K., with the support of an award by the Complex Stochastic Systems Initiative of the Science and Engineering Research Council. 1.Department of Statistics GN-22University of WashingtonSeattleU.S.A.